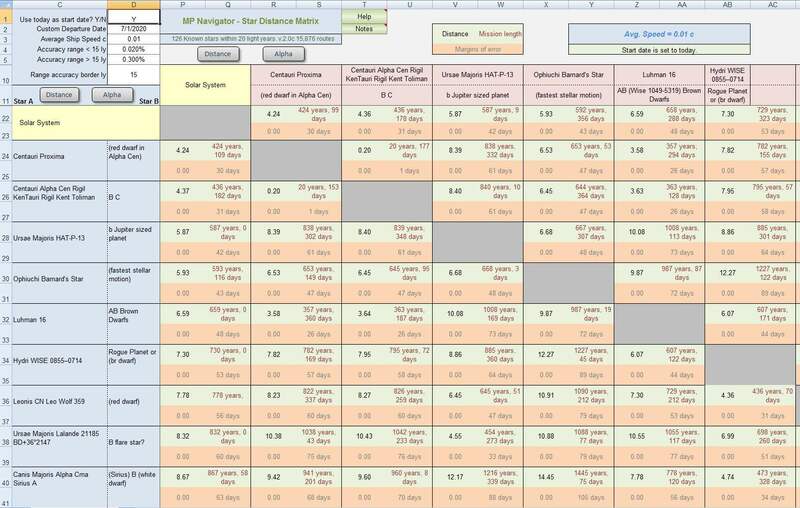 A single page app that can chart mission parameters, including precise ship time dilation between any two locations and on 38 different ship types. Chrome users: A June, 2018 security policy change forces you to click on something, before audio can play on a page. To allow you to hear the Calculator's start-up audio effect, you will get a notice box. Just click the notice's [ Close ] button, to start the Calculator with full audio. 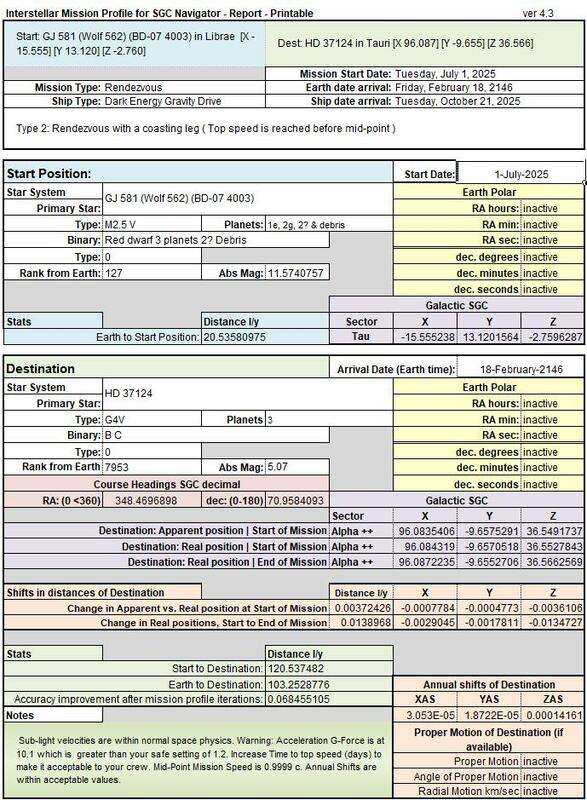 Pick a Start, Destination from either the 'Images' or the '700 light year' location database lists. Pick one of 38 ship types. Ships traveling near to the speed of light get larger time dilations. Time goes slower, onboard the ship. Reality based ships travel at sub-light speeds. Most fictional ships travel at Faster Than Light (FTL) speeds. Some ships have Short-Hop Trip Boosters for a quick 1/3 speed. Set any custom departure or arrival date and the Trip Calculator auto-finds the other. 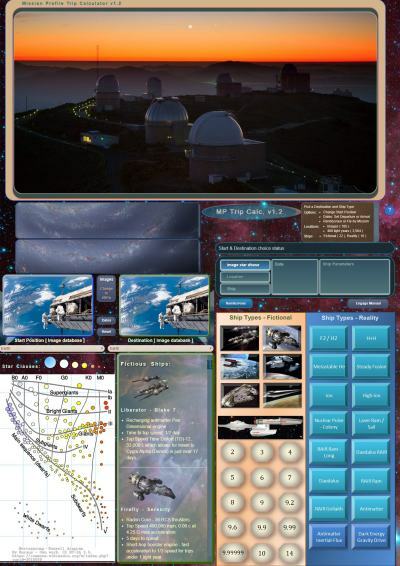 Choose Rendezvous or Fly-by mission types. Find distances between any two locations. Rendezvous missions, that fail to reach top speed, begin mid-point deceleration and become 'Inverted V' type missions. Similar, exception mission profiles for Fly-by, where top speed is not achieved, can also occur. With such missions, special case math and charts are automatic. Manual mode allows different speed measurements: mph, kph, mps, kps, light c = 1 and different distance measurements: miles, kilometers, light years, parsecs, AU (Astronmical Units). This [3D Local Stars] Viewscreen is an original, 3D world, which I created from scratch and it uses a Virtual Reality code, VRML, which still gives an amazing, 3D smooth, fly-through experience, better than any other code, in my opinion. It's worth checking out. I believe it is the largest VRML world online. Android works, but has issues. I would not recommend it. There are ways to fix the code for smartphones, but I have no plans to do this. 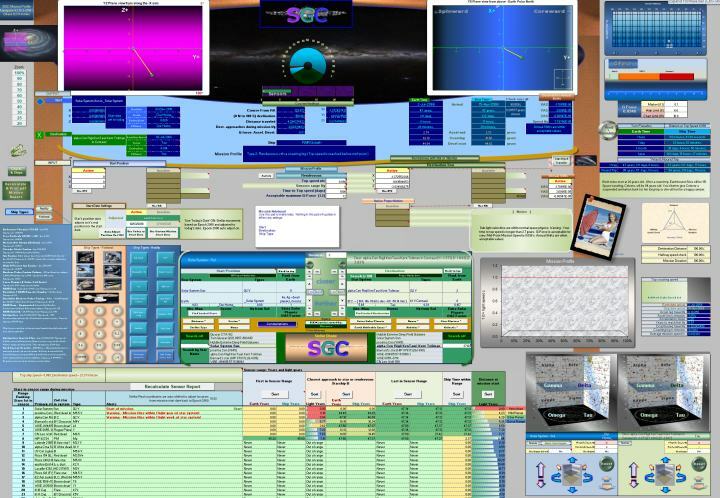 With all the layers of controls and options, the simulator is best experienced with a notebook or desktop. 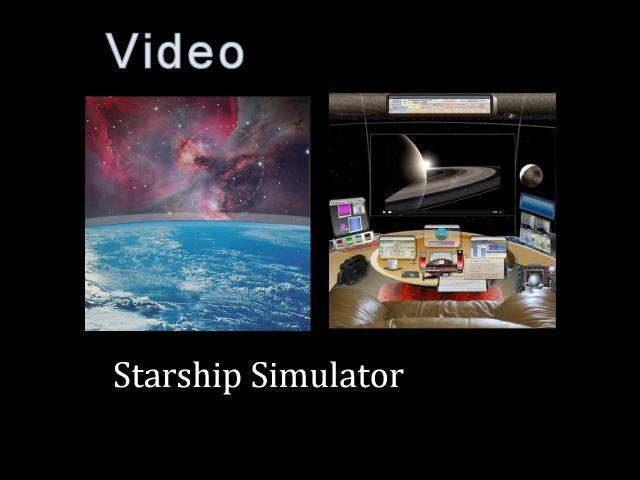 Starship Simulator - What is it? 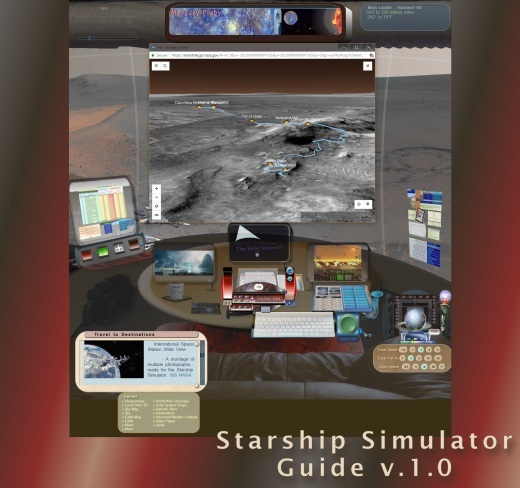 An educational, reality based, Starship simulation with audio, animation and video effects. 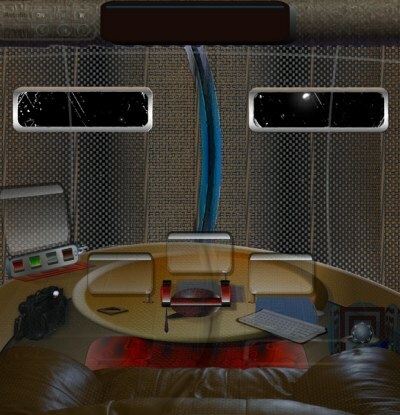 Features can run simultaneously, just like a flight simulator. There is no game play. Download the illustrated manual, above, to see all the features. Chrome gets an opening notice to activate the audio feature. Cortona 3D Plugin required for the [3D Local Star] Viewscreens. 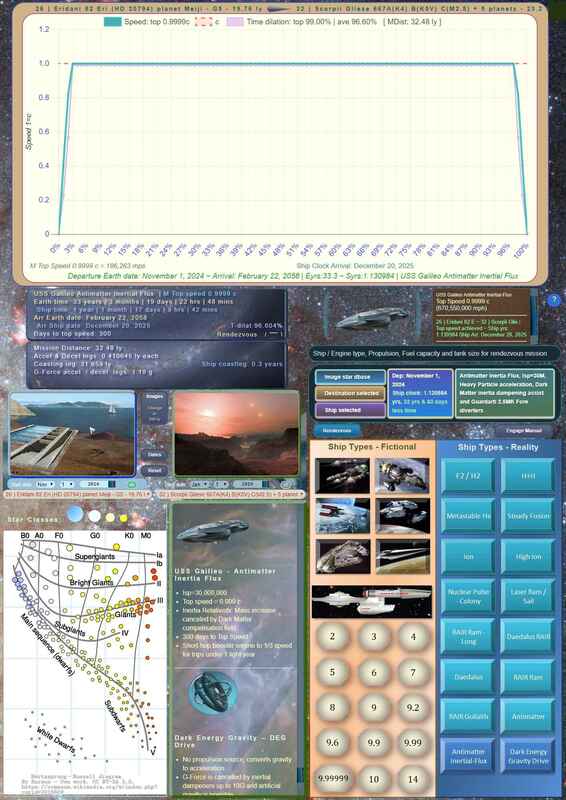 Please allow the Starship Simulator several minutes to load. Graphics and audio will load faster after the first time. 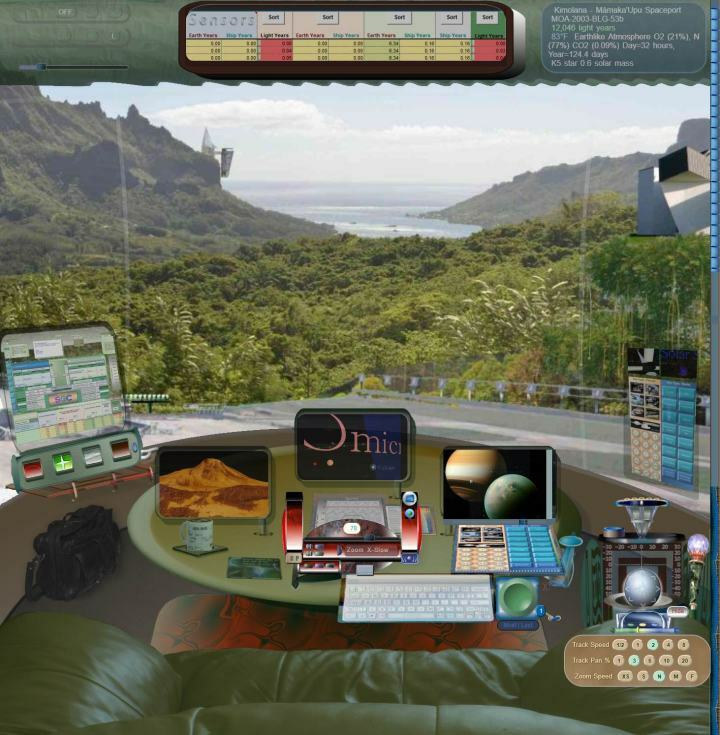 Only Seamonkey and Maxthong (Firefox v51, Chrome v61 or before) browsers will show buttons for the [3D Local Stars]. But, other browsers, listed below, can skip the Starship Simulator and access the [3D Local Stars] Viewscreen directly. You must install or use one of the browsers on the left, (each logo is linked to an official download page), and you also need to have installed the free Cortona 3D Plugin. Only then, will you be able to open the [3D Local Stars] Viewscreen. Always install new browsers first, then the Cortona Plugin. 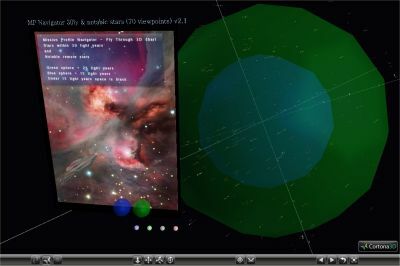 If you use any other browser, or if you try to access the Viewscreen without installing the Cortona Plugin, you will just download copies of the [3D Local Stars] file and the 3D viewscreen will not open at all. Pale Moon and Lunascape are multi-core browsers. Set them to Mozilla or Chrome for best functionality. 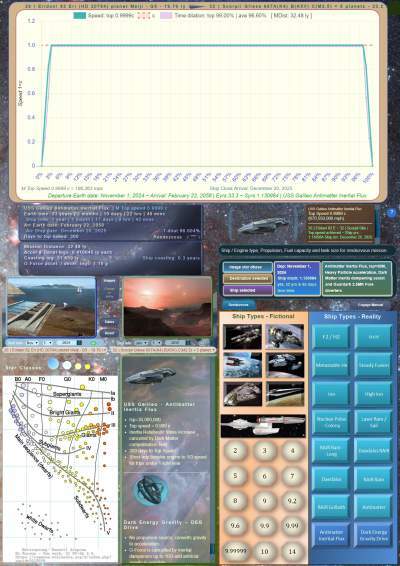 A navigational tool with a printable report for mission profiles bewteen any two locations, or to a rendezvous with a moving, second starship. You must have a copy of Excel 2007, or newer on your computer, to be able to view this worksheet. It is too complex to run with MS Office 365 - Excel online or Google Sheets. 12,134 cordinate locations for stars, nebulae, cluster, galaxy and waypoints. Reports show the Mission Profile from any start to any destination. For missions within the full dbase listing, out to 107 light years, stellar fly-bys are also tracked. Each star, within sensor range, has it's own motion path plotted and these paths are compared to the starship's path to find passing distances and close stellar encounters. A slower starship, on the same mission path, will show different passing distances, because the stars will have travelled for more time during the longer mission. Differences can even show up in passing distances to stars, when a mission is changed from Rendezvous to a Fly-by. For 'hard' Sci-Fi writers who wish to get a Mission Profile between any two stars with any starship type or to rendezvous with a second moving starship, on it's own course and speed, you are invited to . You can also specify any past or future start date. 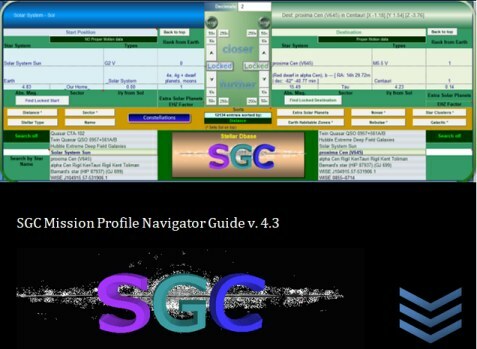 The Mission Profile Navigator is certainly complex and I would be happy to make the profile for your story research. I am aware of no other source that can give you answers of what stars you will fly by on a mission between any two locations. 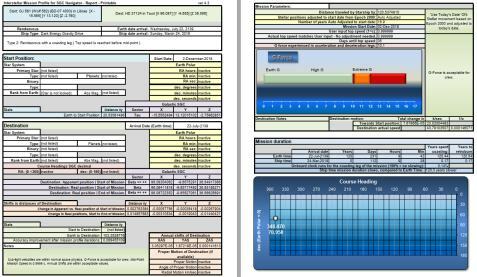 Once you master the MP Navigator, creating such a mission profile can be done within 5 minutes. Check distance between two stars within 20 light years. 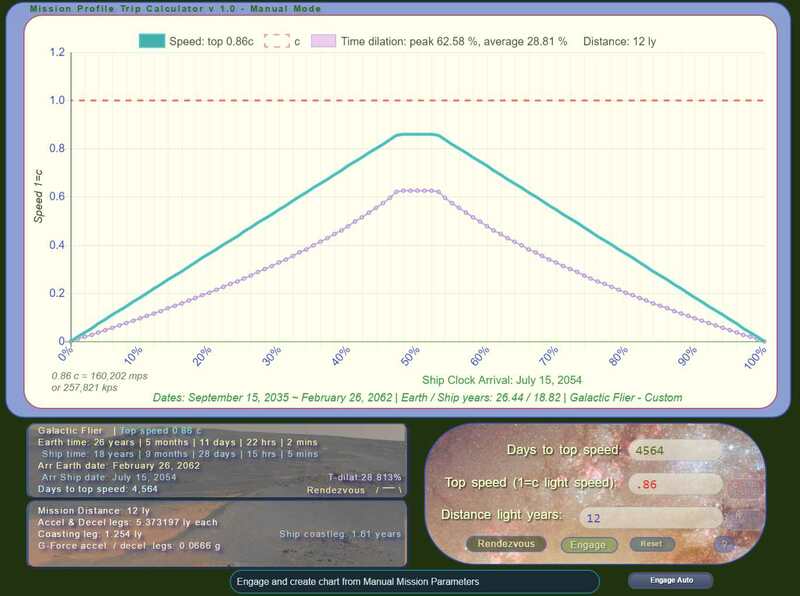 Set manual ship speed and also find mission durations. 126 Stars are automatically positioned in their real positions, based on Proper Motion and start date. Accuracy ranges can be set. Margin of error in distances between stars shown, based on accuracy settings. Enter custom start dates from Jan 1, 1900 to Dec 31, 9999. Stars automatically track to estimated real positions. 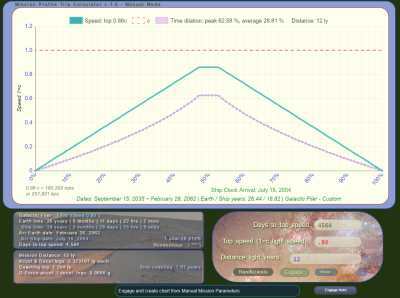 Average ship speed can be set. 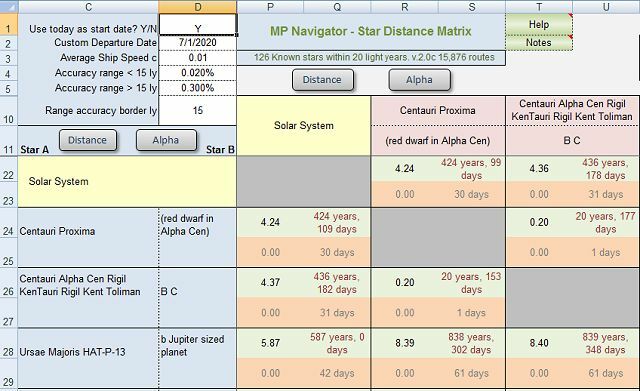 Mission duration in Earth Years shown for each star to star distance based on average ship speed. 6384 unique star to star data distance blocks in the matrix.